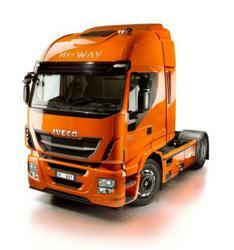 Hendy Iveco are getting ready to show off the amazing new Stralis Hi-Way – voted International Truck of the Year 2013. Hendy Iveco are getting ready to host a special two day truck stop event on the 4th and 5th March at Rownhams Services (M27, J3-4), during which drivers will be able to experience the ultimate test drive in thenew Stralis Hi-Way. “The purpose of the two day event at Rownhams Services is to offer potential buyers and drivers the opportunity to appreciate the unique ‘Driving Style Evaluation’ function, fuel economy, safety and drive-ability of the new Stralis,” comments Alastair Kidd, Hendy Iveco Franchise Director. “During the two day event, Stralis Hi-Way experts from Hendy and Iveco will be available to take interested parties on test drives, putting it through its paces and demonstrating its new features. Anyone interested in finding out more about the new Stralis Hi-Way or wanting to take a test drive is welcome to join Hendy at the Rownhams services on the 4th and 5th March,” adds Kidd. To improve driver performance, the new STRALIS adds to the already broad range an offer with the unique “Driving Style Evaluation” function, an instrument that allows the driver to improve driving behaviour in real time. Additionally, if connected to the IVECONNECT FLEET system, this program allows the fleet manager to remotely assess the performance of each individual driver. The Hendy Iveco team will be at Rownhams services on the 4th March between 2pm and 9pm, as well as on the 5th March between 6am and 2pm, to guide you through the “International Truck of the Year” the Iveco Stralis Hi-Way.